Patients with high blood pressure are relying solely on medication to reduce their risk of heart attack, stroke and heart failure, rather than decreasing salt intake as instructed by their physicians, according to research presented today at ESC Congress 2018, the annual meeting of the European Society of Cardiology. 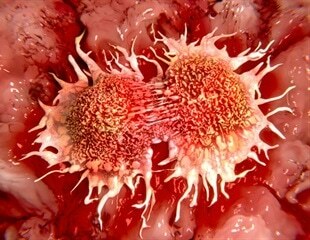 A combination of a diabetes medication and an antihypertensive drug can effectively combat cancer cells. Stroke severity and infarct volume are significantly increased among patients who become resistant to aspirin, show study findings published in Neurology. ReCor Medical announced today that it has received FDA IDE approval for the RADIANCE-HTN clinical trial to evaluate the effect of the ReCor Paradise Renal Denervation System on blood pressure in patients with hypertension. Formulating drugs as liquid salts may provide a safe and efficient strategy for topical delivery of drugs that cause skin toxicity. A team of researchers from the University of California, Santa Barbara (UCSB) in Santa Barbara, CA has demonstrated a novel formulation of propranolol as a liquid salt which enables delivery through skin with reduced toxicity. Researchers at The University of Texas at Austin have successfully stopped cocaine and alcohol addiction in experiments using a drug already approved by the U.S. Food and Drug Administration (FDA) to treat high blood pressure. If the treatment is proven effective in humans, it would be the first of its kind -- one that could help prevent relapses by erasing the unconscious memories that underlie addiction. Basic research on blood pressure has led researchers from Inserm (Inserm Unit 1138, "Cordeliers Research Centre") to obtain unexpected results: drugs used to treat hypertension (high blood pressure) reduce side effects from corticosteroid-based creams used to treat certain skin diseases. Actavis plc today confirmed that the Company has received a complete response letter from the U.S. Food and Drug Administration (FDA) for its New Drug Application (NDA) for the fixed-dose combination (FDC) of nebivolol and valsartan for the treatment of hypertension. People with hypertension who also have psoriasis may benefit from tighter blood pressure control, say researchers, particularly if their psoriasis is moderate or severe. Raised systolic and diastolic blood pressures may have different effects on different types of cardiovascular diseases and at different ages, according to new research involving 1.25 million patients from primary care practices in England published in a special themed issue of The Lancet. Calculating blood pressure load does not increase physicians’ ability to predict a patient’s risk of cardiovascular events, research shows. Some factors that are associated with variability in home blood pressure in patients with Type 2 diabetes may be open to intervention, research suggests. An understanding of the potential for pharmacokinetic interaction between orally administered drugs and grapefruit is necessary in view of an increase in marketed medications that fit the risk criteria, suggest Canadian researchers. Over the last 15 years, researchers have found a significant association between vascular diseases such as hypertension, atherosclerosis, diabetes type 2, hyperlipidemia, and heart disease and an increased risk of Alzheimer's disease.